This Houston covered deck is a gorgeous example of our work on covered decks. Covered decks are a plush and affordable upgrade to any home. We wil make your backyard more spacious and enjoyable with a covered deck. The elements will no longer be an issue when wanting to enjoy the backyard will family or friends! All of our covered decks are custom built to fit the individualism of our customer. A variety of colors and materials can be used to construct any covered deck. For example, this covered deck has a gray and white color scheme and uses both wood and stone. 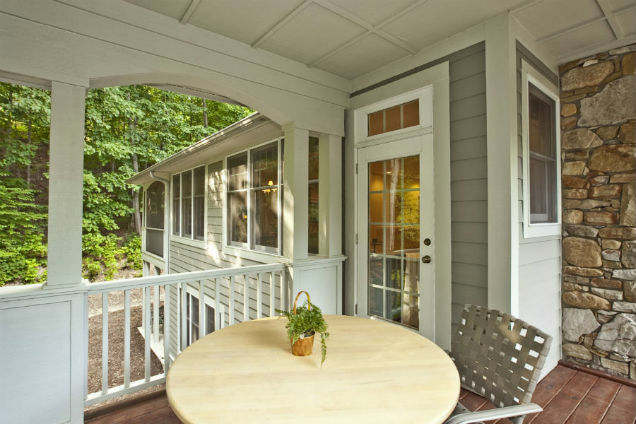 A combination of almost any colors and materials can be used to build the covered deck of your dreams! Don’t delay, get started today! Have an idea of how you want your covered patio to look? Contact us today and we will start making that dream into reality for the best price in Houston!